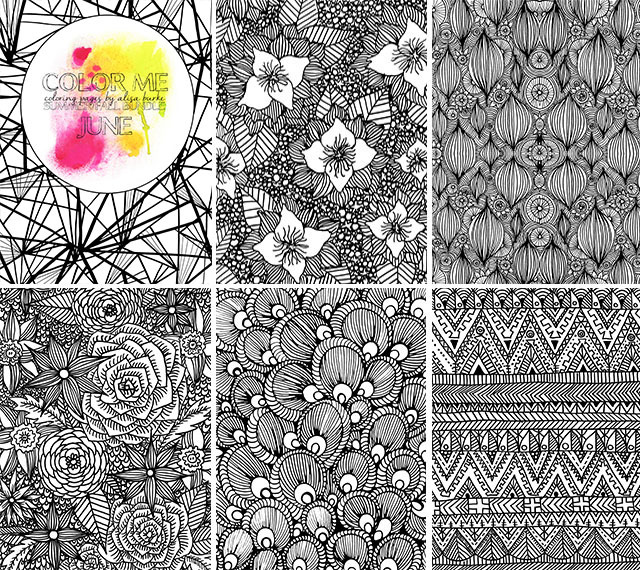 alisaburke: NEW 6 month coloring bundle in the shop and on SALE! 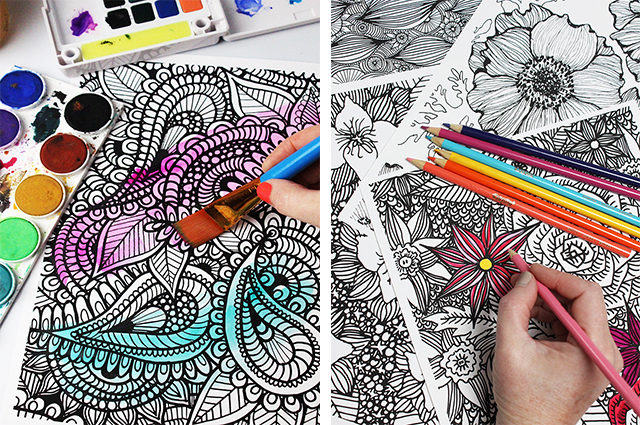 NEW 6 month coloring bundle in the shop and on SALE! Last week I added a brand new 6 month coloring bundle to the shop and I've got it marked down for the rest of this week to $15.00. Curious about how my coloring bundles work? "Color Me" coloring pages are a 6 month bundle of digital downloads. Purchase a bundle for $25 $15.00 and you will receive 5 coloring pages each month, for 6 months. That is a total of 30 pages! The bundle begins December 15, 2015 and ends May 15, 2016. You will receive access to a private website where you can download 5 new coloring pages fresh from my sketchbook on the 15th of each month. Along with the new pages, each month I will also include a few my favorite coloring tips, tricks and supplies. Purchase the bundle at any time within the 6 months and you will receive all monthly pages and future pages until May 15th. Design are all hand drawn by me and they the subject matter will vary throughout the months. Designs have been scanned at a high resolution for crisp and clear printing. All of the coloring page downloads are PDF's. 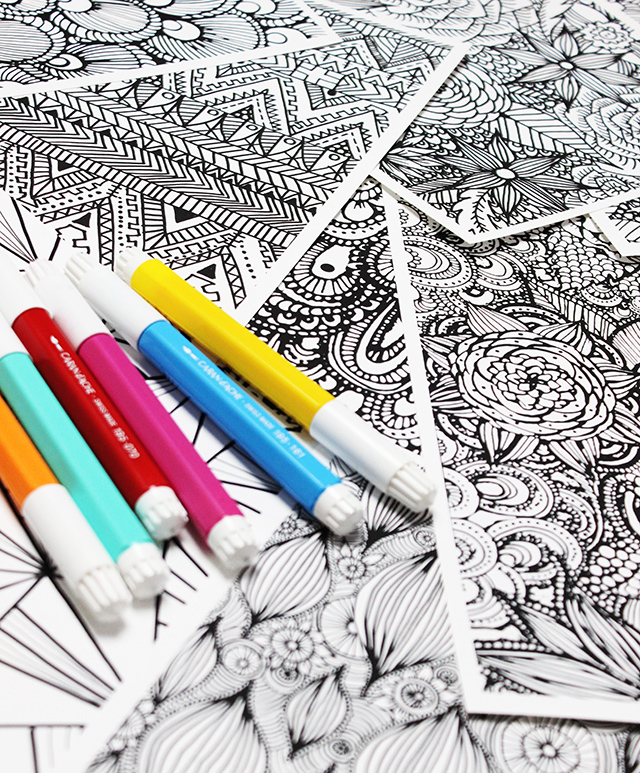 Coloring pages are designed to fit on a 8.5 X 11 piece of paper. Use your favorite paper and print out as many as you like! 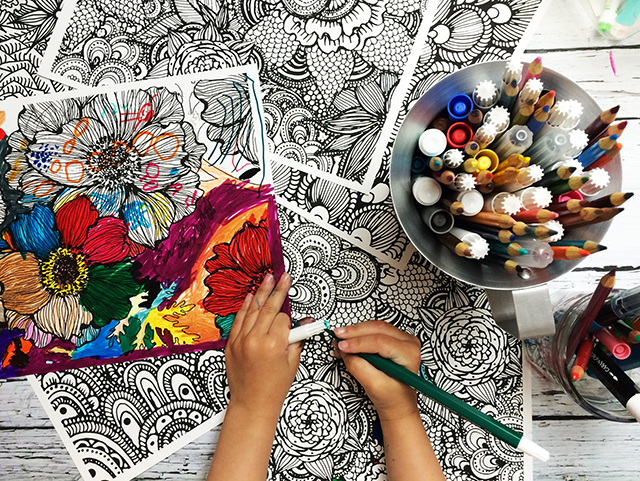 Grab your favorite supplies- markers, colored pencils, crayons or watercolors and have fun filling the pages with color. Frame them, cut them out to craft with or add them to your art journal! Just remember they are for personal use only. The coloring pages are great, but when I use marker, the black ink of the page runs and turns the page all muddy. Any suggestions?? Bought the last bundle and I can't stop coloring! I printed some out for Thanksgiving and all the girls in my family (ages 2-70) gathered around the table coloring and chatting for most of the day. love them.. just ordered! So many ideas on how to use these in my art journaling pages and in my storytelling.. thks girl! and Merry CHristmas to you and your precious family!